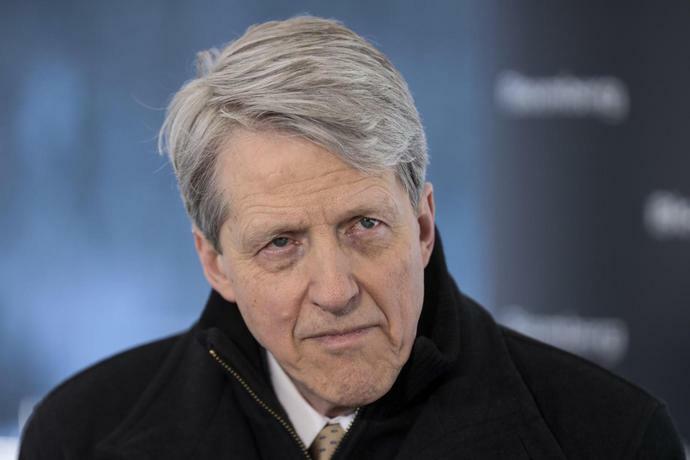 (Bloomberg) -- When the traders and investors who advise the U.S. Treasury floated the idea of selling bonds indexed to inflation in health care and education, they were drawing on work that Nobel laureate Robert Shiller began a generation ago. It's also work that Michael Ashton, a money manager who specializes in hedging specific inflation risk, latched onto more than a decade ago. That's when he and Shiller tried -- unsuccessfully -- to create an exchange-traded mechanism for hedging the medical-care component of the Consumer Price Index. "Being able to trade subcomponents is the holy grail," said Ashton, whose Twitter handle is @inflation_guy. "Everybody has different exposure to inflation, a different experience of it. So one-size-fits-all eventually has to go away, because not everyone wants a black Model-T."
"There are a lot of risks people are facing without insurance -- health care and education among them," Shiller said in an interview. Global warming is another, he said. "There are all kinds of assets that should be created." The U.S. began issuing Treasury Inflation-Protected Securities linked to the CPI in 1997. The idea that the government could sell debt tied to health-care and education costs was among those that the Treasury Borrowing Advisory Committee presented at the end of last month. TBAC, comprising 17 bond-market professionals who relay industry opinion to the nation's domestic-finance managers, had been asked for a report on how the U.S. could better handle its growing borrowing need. In a list that also included Treasuries maturing in 15-20 years, perpetual horizon debt and zero-coupon bonds, TBAC said the new TIPS "are likely to result in more cost savings than those linked to the whole CPI basket." The current approach "is not a good hedge for investors exposed to specific inflation risks," the report said. For example, corporate and state health-care plans might prefer TIPS indexed to medical costs, while college savings plans might like education-linked securities. Reading TBAC's report at his office in Morristown, New Jersey, Ashton recognized the rationale for the proposal he'd worked on with Shiller in 2007 and 2008. In 2004, he'd given a presentation on the potential for trading CPI components at a Barclays Capital inflation-linked-bond conference in Key Biscayne, Florida. At the time, Ashton was in charge of inflation derivatives at Barclays in New York. "It's just taking longer than I thought," he said. Ashton's firm, Enduring Investments LLC, was founded in 2009 and helps clients hedge large or unusual inflation risks. The topic of Ashton's 2004 presentation aligned with work that Shiller did for his 1993 book 'Macro Markets: Creating Institutions for Managing Society's Largest Economic Risks.' The book's main idea is that financial markets lack easily created tools that would allow investors to build portfolios that address individual risks. "Things like this take a long time to get established," Shiller said. "People are not as calculating as economists like to assume." At the time, Ashton was working for Natixis Capital Markets, making markets in inflation derivatives. 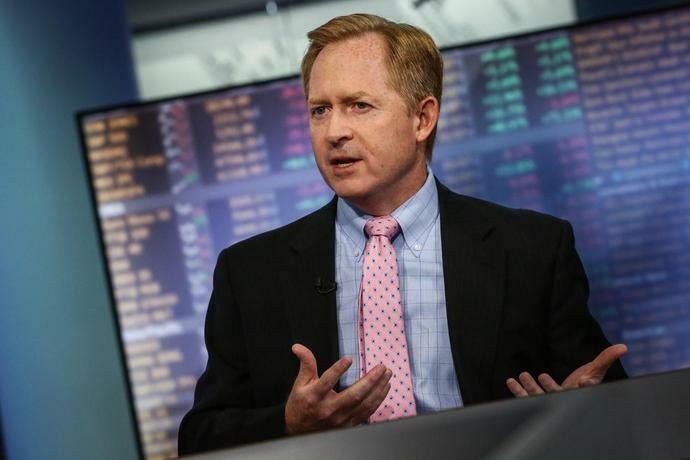 He pitched Shiller's firm on using the MacroShares model to list medical-care inflation securities, and the two took the idea to asset managers including Calpers, Pimco, TIAA-CREF and Western Asset Management. Shiller ascribes these failures -- along with the broader lack of tools available to hedge specific risks -- to inertia. For example, fire insurance didn't become widespread until the mortgage industry started demanding it, even as cities were ravaged by flames on a regular basis, he said. While there are investors who might over-pay for specific types of protection, "you can't sell them expensive enough to make the rest cheap enough to fly off the shelf," Ashton said. That's why direct issuance by the Treasury is probably necessary. By selling specific inflation exposures and keeping the rest, the central bank "would likely have the large positive effect of jump-starting a really important market." The catalyst for the rout was health-insurance giant UnitedHealth Group Inc., which used its earnings call to engage with the biggest threat to the status-quo out there: Vermont Senator Bernie Sanders's proposal to eliminate private insurance in favor of government-run universal coverage. On the Tuesday call, UnitedHealth CEO David Wichmann said such Medicare-for-All proposals would create a "wholesale disruption of American health care," as he called instead for changes within the existing system. Asian share markets got off to a guarded start on Wednesday as investors waited anxiously for a raft of Chinese data that might show policy stimulus is finally gaining traction in the world's second-largest economy. The main mover of the morning was the New Zealand dollar which dived after a weak reading on consumer price inflation stoked expectations for a cut in interest rates. Investors are hoping for better news from China which is forecast to report first-quarter economic growth of 6.3 percent.